Chuck Rosenberg, former FBI official, explains what investigators can and can't do when digging into the U.S. Supreme Court nominee's past. A former senior FBI official says investigators can do a lot in a week — so long they're permitted to do their jobs without political interference. 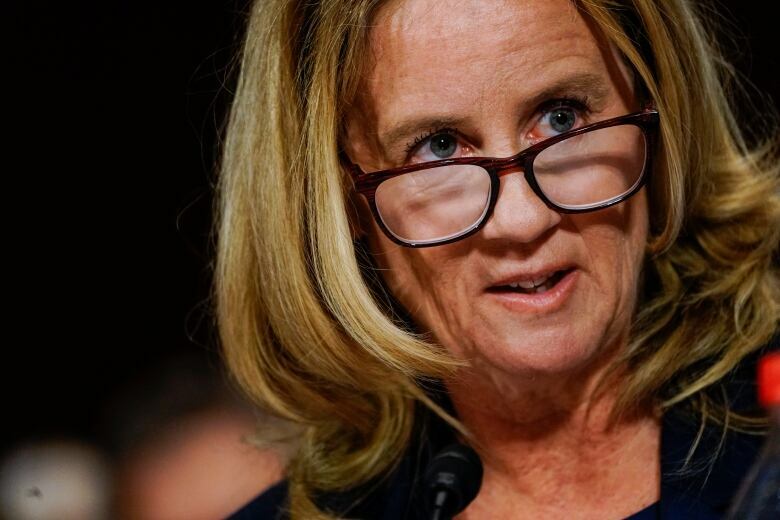 The White House insisted it was not "micromanaging" the new one-week FBI review of U.S. Supreme Court nominee Brett Kavanaugh's background, but some Democratic lawmakers claimed the administration was keeping investigators from interviewing certain witnesses. Chuck Rosenberg, who served as chief of staff and senior counselor to former FBI director director James Comey, spoke to As It Happens host Carol Off about what the investigation could and should look like. 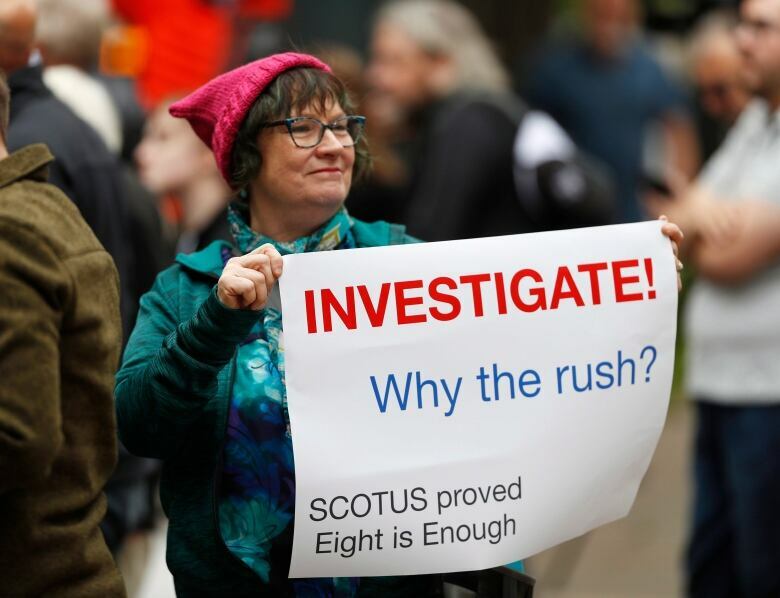 How much can the FBI dig out about Brett Kavanaugh's past in one week? Quite a bit — if they are permitted to do what they normally do, which is to look broadly and deeply and speak with whomever they believe they need to speak with. And do you think that that's what they're going to be able to do? Typically in a criminal investigation, there are no guardrails on the FBI's investigation other than those imposed by the rule of law. Here, in the background investigation, when the White House is the client agency, the White House has the ability to set some guardrails on the investigation. And we're still trying to figure out what those guardrails are, aren't we? It's not entirely clear to me what the rules are right now, but I can tell you what the rules ought to be. The FBI ought to be able to speak to anybody it believes has relevant and truthful information. And if those interviews lead to more people — what we call leads — they ought to be permitted to pursue those as well. In the end, it really is about getting to the truth, not getting to some answer that somebody wants. What are the leads? What would you be looking for, if you were one of the investigators? You would want to talk to as many people as you could who were either in the house or witnessed the events or those who spoke to the people who were at the house or witnessed the events. Remember, what the FBI is trying to do right now is not prepare a case for trial. They're just trying to provide as much and as good information as they possibly can. The more you talk to people, the more leads you get, and so you talk to additional people. And that process continues really until you run out of people to talk to. The FBI doesn't have any compulsory process here. They can't compel witnesses. They can't summon documents. But they can talk to people, and they do that all the time and they're quite good at it. What more could they get out of, let's say, talking to Mark Judge, who was the friend of Kavanaugh who was allegedly in the room when this alleged assault took place? He has already put out a statement saying ... he doesn't remember this, but it's totally against the character he knows Brett Kavanaugh to have. The statement that he put out was put out through his lawyer. He wasn't pushed on it. He wasn't prodded to remember other details. That's why agents want to talk directly to witnesses. I'm not saying at all that a lawyer put together a false statement or a misleading statement, but it might have been a cursory statement and it needs to be tested. 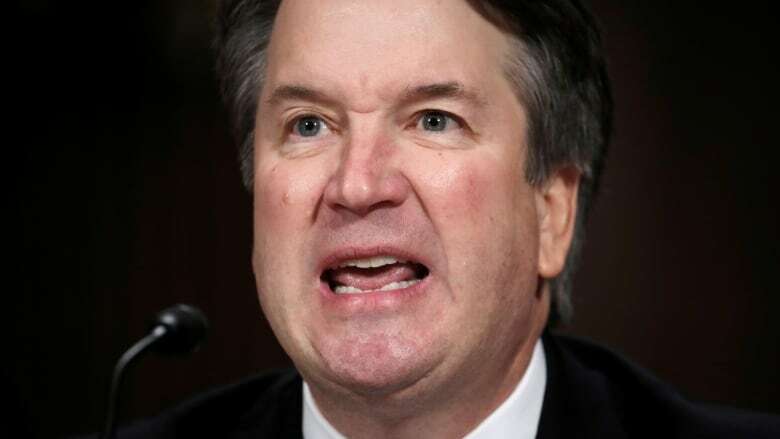 The president says that this didn't happen, that his man Brett Kavanagh is innocent of all this. The senators who are the ones who are ... tentatively supporting the FBI probe, they have said the whole thing's a sham. And the man at the centre of it says that he is being attacked by a Clinton conspiracy. So is all that baggage going to be on the backs of those FBI agents who conduct this investigation? Not really. What the FBI has to do is relatively simple. They have to, to the extent possible, find the truth. They have to knock on doors and talk to people and then faithfully report what they were told. That's their job. They don't have to pick sides. They just have to pursue the truth. After they file that report, is that the end of it? Or will there possibly be leads and evidence that leads them to other investigations? And I'm thinking in terms principally of charges of perjury. Normally the FBI is permitted, must be permitted, to pursue logical leads. If they need to go back to the White House, in the context of this background investigation, every time they have another lead to pursue and, if they are prohibited from doing so, that would be deeply, deeply problematic. Frankly, if they're left alone to do their work, we may not get definitive answers, but we're going to get a heck of a lot closer to the truth. If they find evidence of a crime, can they pursue this beyond the FBI background check? If the FBI finds evidence of a crime, if they have what we call predication to open a criminal investigation, then, yes, they can pursue that. That's yet another reason why we have to let the men and women of the FBI do their work. You follow the facts wherever they may take you. At the end of the day, they should be able to make that assessment independently and free of politics. Written by Sheena Goodyear. Produced by Kate Swoger. Q&A has been edited for length and clarity.